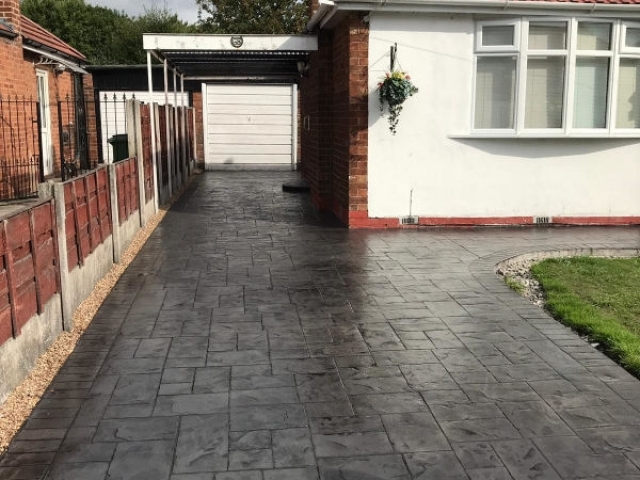 Home > News > Stunning new driveway and patio in Sale, Manchester! 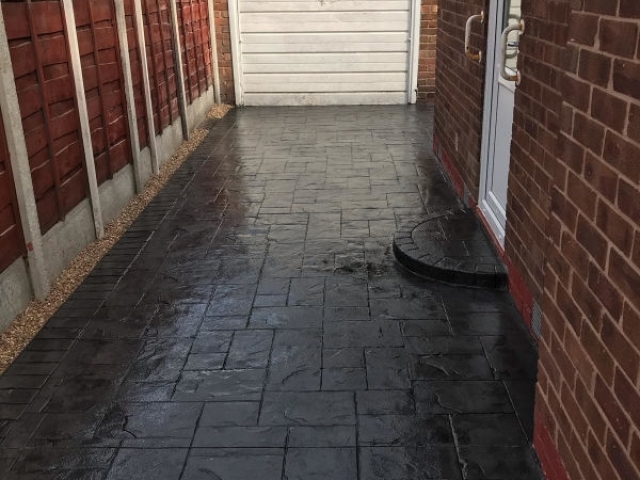 Stunning new driveway and patio in Sale, Manchester! Inside our homes we might try to link rooms by using the same colour or flooring in order to create continuity, but do we do the same with our outside space? Do you sometimes feel that there is no flow between the front of your house and the back? Instead of feeling smoothly harmonious does it feel jarringly chopped up? It might be because your driveway is one style and colour and made from a different material than the patio at the back of the house. However, it is important if possible, to draw the eye from one space seamlessly through to the other. 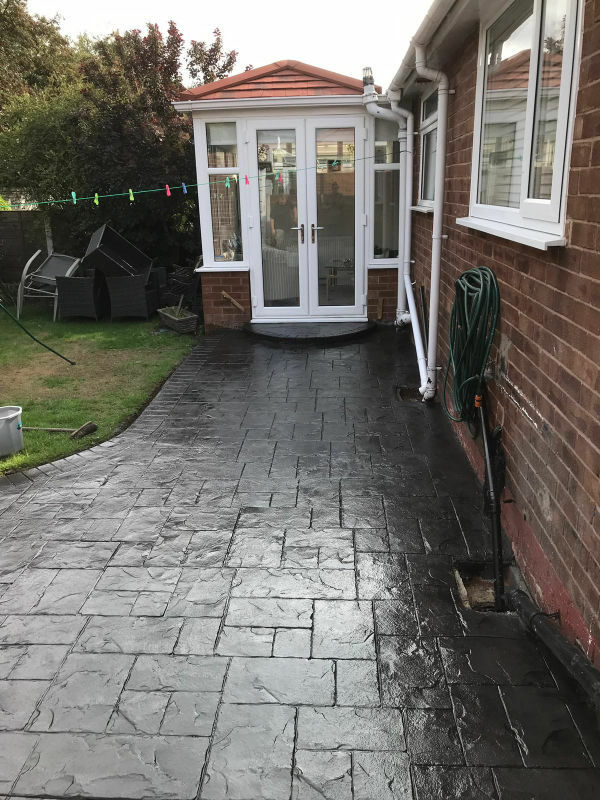 A great way to create a lovely flow between the front and back of the house is to have a new driveway in Manchester and a new patio in Manchester. 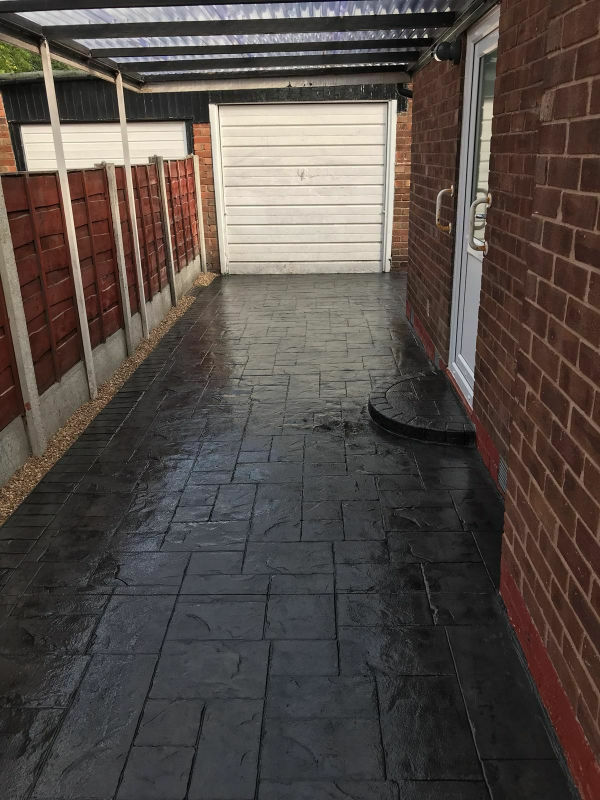 Choosing a pattern imprinted concrete driveway and using the same pattern and colour or something similar that complements it to create the patio, provides this flow. 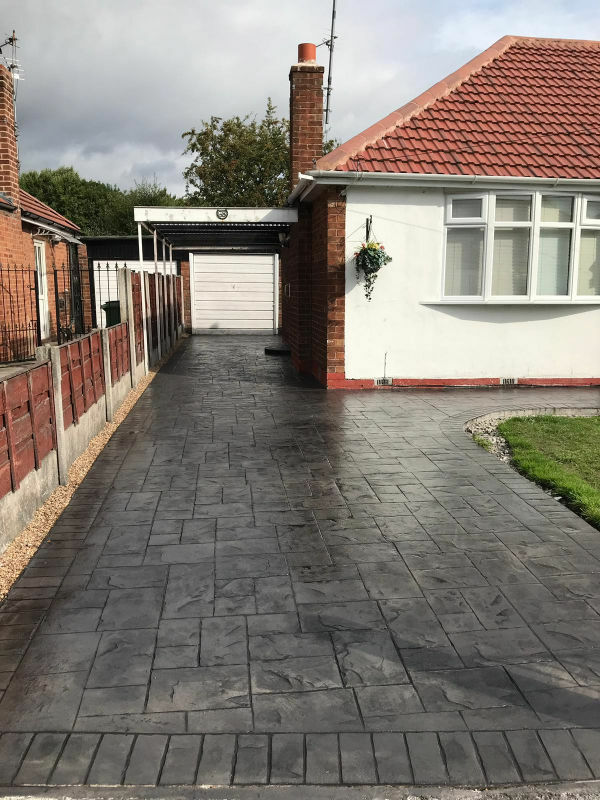 A brilliant example of where this really worked was with our recent clients in Sale who decided to have a new driveway in Manchester. They decided to have a matching driveway and new patio in Manchester. 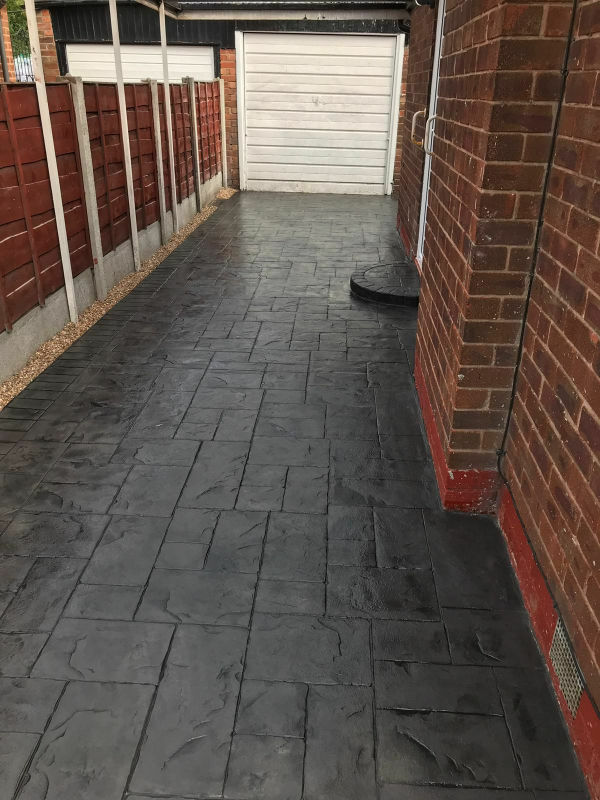 They opted for a pattern imprinted concrete driveway and patio printed in Ashlar and coloured in Ash Grey. 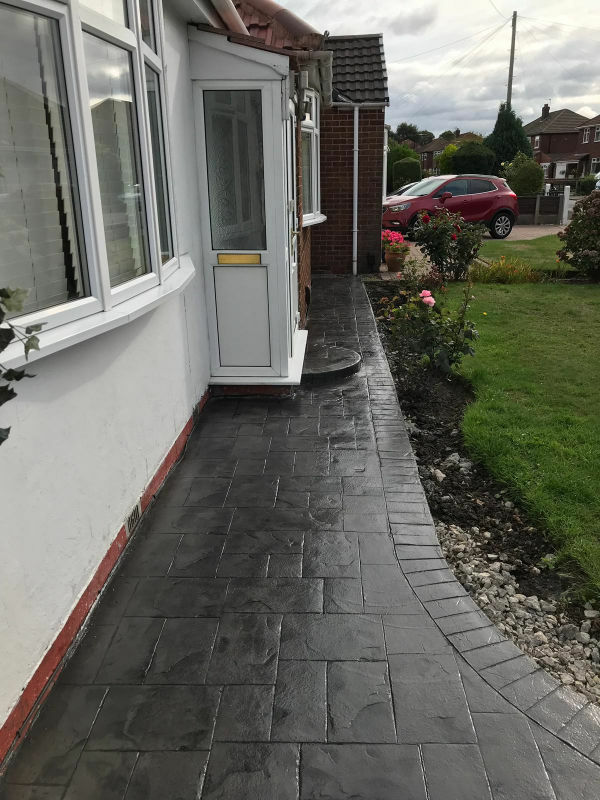 You can see what the pattern and colour looked like from the photographs included as well as how the driveway linked up to the patio at the back creating a seamless flow from front to back. In addition, we added three half-moon steps on the front, side and back patio doors. We were able to accommodate the drain at the back of the house and cut around this as well as perfectly trimming the edge of the lawn with the concrete. 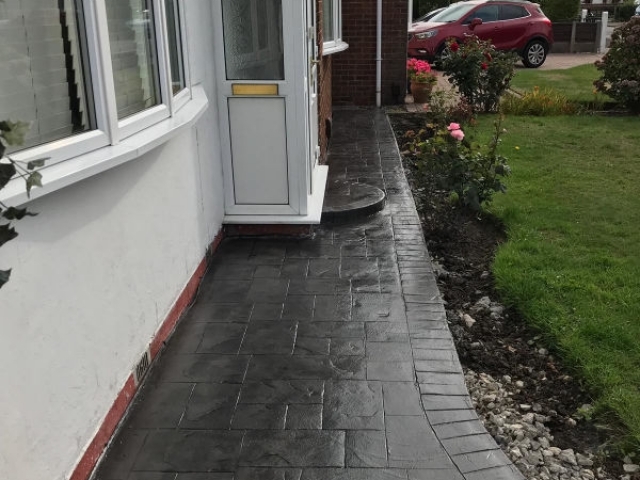 In order to ensure that the driveway and patio were SUDS compliant we also installed an Aco drain at the front of the house. 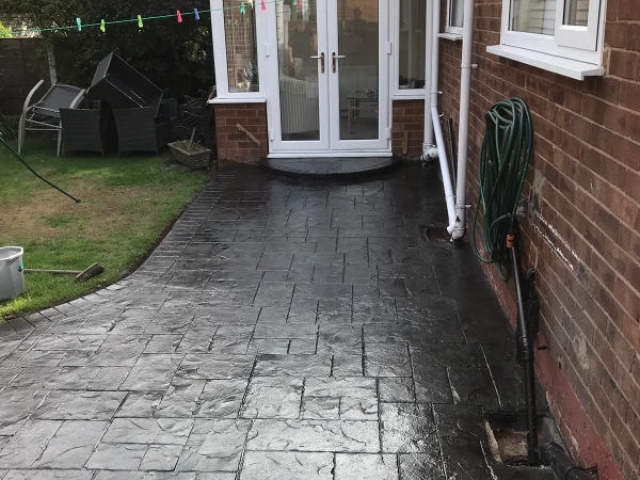 The driveway and patio were finished in a high gloss seal with anti-slip agent for traction on the foot. 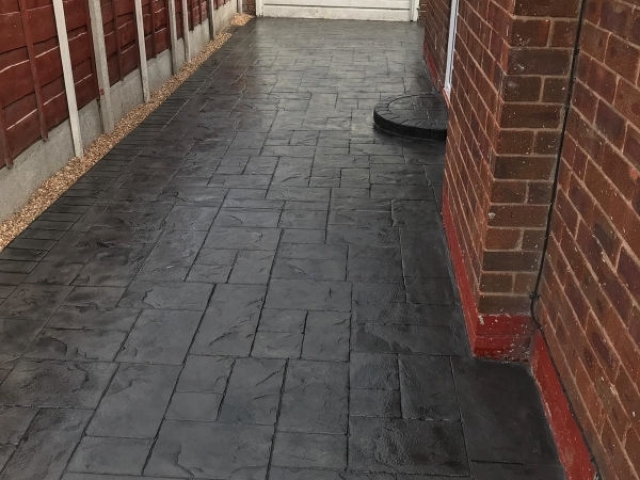 If you are considering having a new driveway in Manchester or a new patio in Manchester give Lasting Impressions a ring on 0161 980 8822.